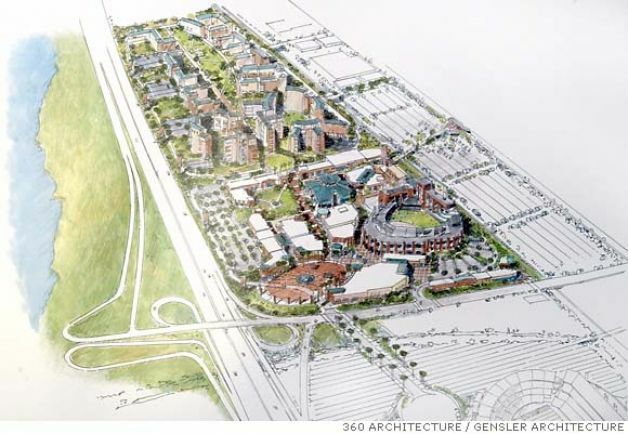 “On behalf of the Oakland Athletics ownership group, I have proposed a concept and a site to the Joint Powers Authority (JPA) and the City of Oakland that we believe has tremendous potential for the development of a baseball-only facility for the A’s in Oakland. It is our hope to create more than just a ballpark, but one of the next major urban centers in the Bay Area that will greatly add to the economic base and the community image of the city we have called home for the last 38 years. “A visionary leadership from all parties associated with this project who believe the A’s are a community asset is required to help us reach our objective in creating one of the most exciting venues in all of sports, one that will have a positive and lasting impact on the City of Oakland for years to come. “Our ownership group is willing to incur the vast majority of costs associated with this project; however, to create the major urban development we envision is virtually impossible without some sort of public and governmental support. If public and private forces can be channeled to see this project to fruition, it is our belief the economic benefits to the City of Oakland will far outweigh the public assistance sought. The site appears to be much more expansive than just the Drive-In/Swap Meet. The ballpark itself is situated just north of 66th Ave, on the southeast section of the site. The field is oriented northeast, similar to the current Coliseum, with the outfield running near the Union Pacific/Amtrak railroad tracks. Parking is on the other side of the tracks, with a series of bridges (pedestrian only?) providing access over the tracks. High-rise structures (probably the condos) are located in left and left-center. Small retail buildings line 66th Ave. Either a shopping center or big-box retailers have been placed to the west, along Coliseum Way. The street grid is completely changed north of 66th Ave.
What looks to be a new street runs east-west through the complex. It may be an extension of the existing Seminary Ave., which currently ends at San Leandro St. That would make sense, because it would provide a direct route from I-580.